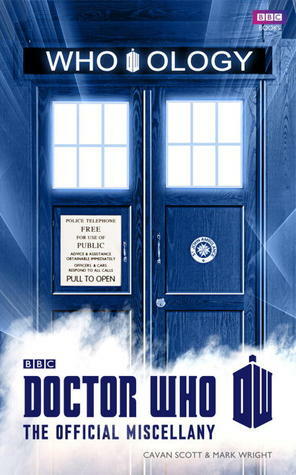 Doctor Who – Escape Reality, Read Fiction! Tomorrow, Saturday August 15, has been declared Doctor Who Comics Day by Titan Comics, who, of course, publish Doctor Who Comics. While I didn’t have a Doctor Who graphic novel in my TBR pile, it did seem like a golden opportunity to review a Doctor Who book. 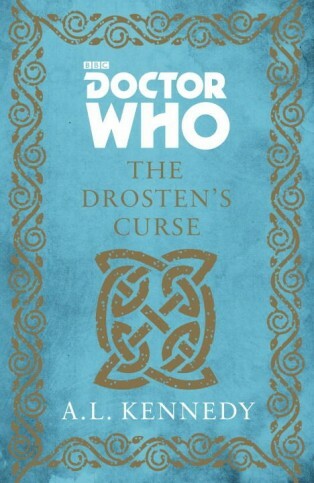 I’d been staring at the eARC of Doctor Who: The Drosten’s Curse, for a few days, so this gave me an excuse to get it. Why was I staring at it? 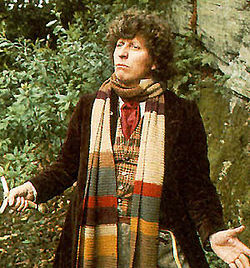 Because this is a Fourth Doctor story. 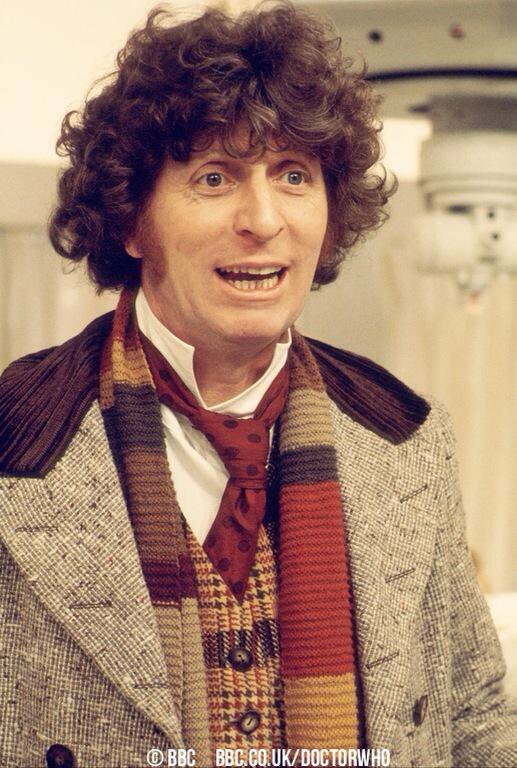 As the saying goes, you never forget your first Doctor, and Tom Baker was mine. Yes, I got a bit of the weepies when he appeared as The Curator at the end of The Day of the Doctor. But the Doctor in The Drosten’s Curse was definitely the Doctor as I remember him from the series. Often surprisingly brave, and generally making it up as he went along. If the Fourth Doctor could be described as “madcap”, there was an awful lot of mad as well as curly hair under that “cap”, which was actually a rather floppy hat. That particularly Doctor often seemed rather floppy, like an animated Raggedy Andy doll, right up until the point where he saved the day and skipped away to a new adventure. 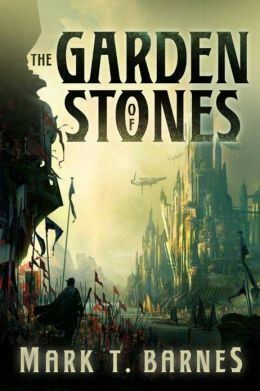 The adventure in The Drosten’s Curse feels like one that could have happened during the run of the series, too. The Doctor lands the TARDIS somewhere he wasn’t planning on (as usual) and discovers that underneath the soil of an unsuspecting small town is a very large intergalactic predator who has changed the local landscape to suit his/her/its nefarious purposes. What made this one fun is that the alien has been listening to humans for so long, that its purposes have strayed off course. It’s supposed to be a big bad monster who responds primarily to hatethink, but has been preserving the life of a lovely little old lady and making her happy by supplying her with fictitious grandchildren. Of course, it is also living underneath a sand bunker on the local golf course, and eating anyone who wanders – or is lured – into the bunker. In this adventure, the Doctor, currently between companions, enlists the help of a local young woman, Bryony, and an inept intergalactic bounty hunter named Putta. Bryony is as helpful as any companion has ever been, and has no trouble believing in not just one, but two aliens with space ships. She has always hoped that someone will rescue her from the humdrum of her life and take her away to see the universe in a classy ship and she hopes that this is her chance! She gets way more than she bargained for. But Bryony’s life will never be dull again – if she survives both the incipient destruction of the earth and the Doctor’s desperate attempts to use her mind as a mental meeting place for himself, the alien, the TARDIS and that mother of all nightmares. Escape Rating B: I think this story only makes sense if you are used to the wibbly-wobbly timey-wimey pseudo-logic that so often comes into play in Doctor Who. At the same time, he does not suffer fools gladly, or any longer than he has to in order to give them their right proper comeuppance. 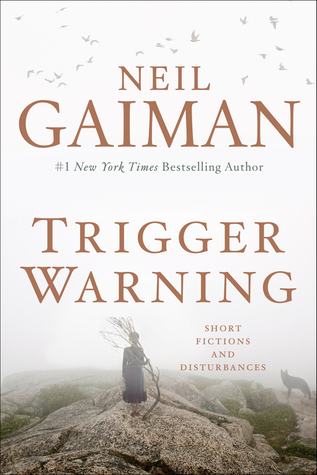 The interesting thing in this story, and also many stories during this era, is that the evil in the end is not the monster – it’s the humans who try to take advantage of the monster. There are a few plot bits that owe a lot to speculative fiction that has happened in the years since Tom Baker’s Doctor regenerated into Peter Davison’s Doctor. The way to end the Drosten’s Curse was not superior firepower (it seldom was in Doctor Who) or even superior brainpower, which often did happen. 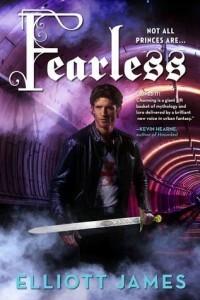 In the Drosten’s Curse, the most powerful force in the universe turns out to be love, in ways that reminded this reader a bit of the end of Harry Potter. Also, a significant part of the action in this story includes the TARDIS herself as a thinking being, even if she is not shown as an actual person the way that she was in the Eleventh Doctor episode The Doctor’s Wife. That the TARDIS has her own personality, her own mental space, and her own ability to feel emotion is a big part of what brings The Drosten’s Curse to its successful conclusion. I don’t think we saw the TARDIS act this much on her own before the revived series. 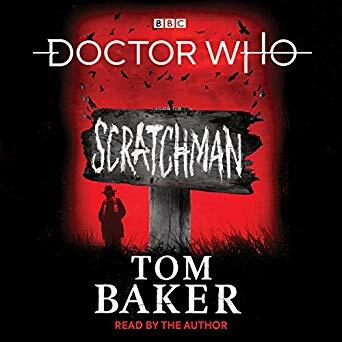 The timey-wimey bit comes at the end of this story, and it was quite touching, kind of in the same way that the end of Reaper Man in Terry Pratchett’s Discworld was touching. 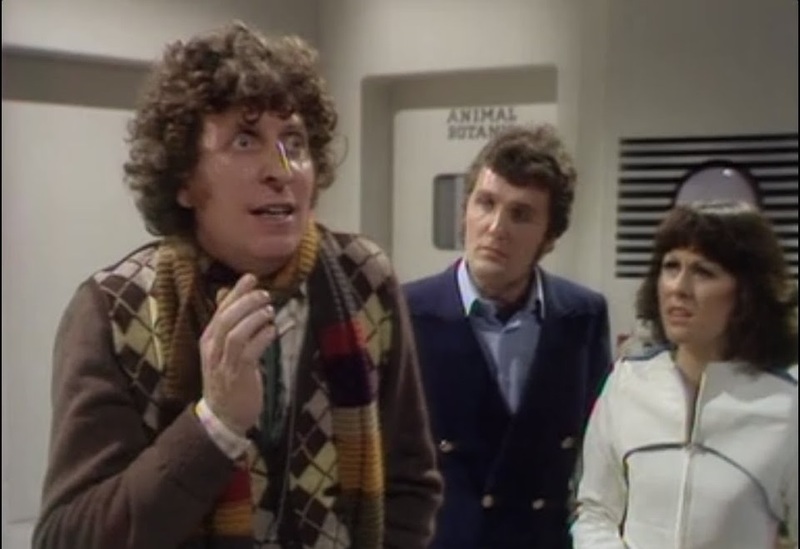 All in all, The Drosten’s Curse is a lovely Fourth Doctor story that shows just how much substance lurked inside that frequently clownish buffoon. 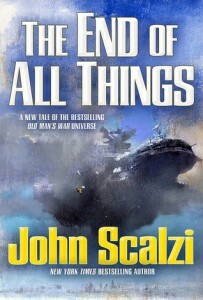 After watching the new Doctor’s first episode, I simply couldn’t resist reading this War Doctor adventure. Of course, now I want to go back and watch The Night of the Doctor and The Day of the Doctor, just to put everything into its proper context. And besides, those stories were just plain fun, and so is this one. 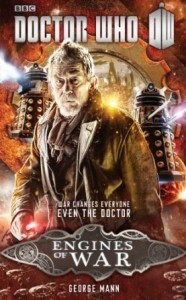 Engines of War takes place late in the War Doctor’s time period, probably not long before (possibly JUST before) the events in The Day of the Doctor. Those “engines of war” have been in development for centuries, and the Doctor has reached the point where this regeneration looks pretty darn worn out, but still with that spark of humor that we saw in Day of the Doctor. Engines of War seems to be the point where the Doctor cries “a plague on both your houses” at both the Daleks and his own people, the Time Lords. Because the events in this story show him that the war has made the two opposing forces in equally degenerative and destructive forces. The war has made the Time Lords into a race that has used the weapons and methods of the Daleks in their attempt to defeat them. Pogo was right, “we have met the enemy and he is us”. As with so many Doctor Who stories, we see the action through the Doctor’s Companion. Cinder is human, but from a far future where humanity has colonized the stars. Her planet was once a great civilization, but the war has reduced the population to slaves, victims and guerrilla warriors just barely keeping one step ahead of their oppressors. The Daleks are using the place for experimental research on yet more ways they can create Daleks, including Daleks with time-erasure weapons. Their victims not only cease to exist, they cease to have ever existed. The new Dalek master plan is to use the power of time reversal on the Time Lords. Until the Doctor crash lands on the battle-heap that was Moldox, and falls in with one plucky warrior just about at the end of her line. But it isn’t the Dalek’s destruction of her planet that moves the Doctor beyond his ability to make excuses for his people’s behavior, it is the way that the Time Lords abuse Cinder herself that bring him to the brink of despair and disaster. 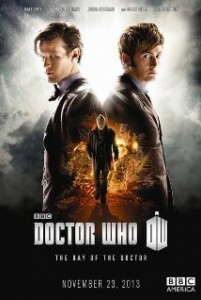 Escape Rating A-: In the episode The End of Time, the Time Lords attempt to come back, and the Doctor stops them at the cost of his regeneration. In Engines of War, we get a pretty good idea of why the Doctor is willing to keep them out at all costs. It’s said that if you use the methods of your enemy to defeat them, you are already lost. The Time Lord Council had gone way too far down that road for the Doctor to want them back. 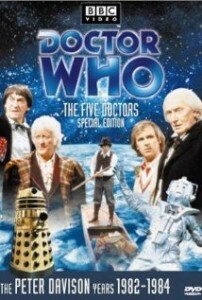 If you are a fan of both the classic and the new adventures of the Doctor, this story is a special treat. It not only bridges a bit of the gap between The Night of the Doctor minisode and The Day of the Doctor, but it also gives us a glimpse into the rot in the Time Lords that leads the Doctor to even think of using “The Moment”. And as an added treat, the story takes us back to the Death Zone, the scene of The Five Doctors. We see more of Gallifrey than we ever have before, and it’s plenty ugly. But it makes a terrific adventure. It’s very timey-wimey that the 50th anniversaries of the assassination of John F. Kennedy and Doctor Who share a weekend. They did in 1963, too. 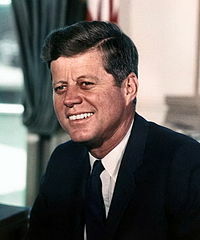 In 1963, JFK was killed on Friday, November 22, and Doctor Who premiered on Saturday, November 23. In 1963, there was considerably more attention paid to the assassination of a U.S. President. In 2013, I’m not so sure. In 1963, I was 6 years old. Unlike many of my peers, I was not in school that day. I was home with tonsillitis. (I got my tonsils out just before Christmas that year). My memory of that entire weekend is of being home, sick, and that there was nothing else on television except the repeating coverage of the assassination and the funeral. I was bored and I had no one to play with. Not my finest moment, but six-year-olds are fairly selfish. This time around it’s amazing how easy it is to ignore the 50th anniversary of Kennedy’s assassination if you only want to see the coverage of the Doctor Who 50th anniversary special. Which I haven’t seen yet, we have tickets to see it tomorrow night in a theater, but some of the reviews worry me. Time marches on in its timey-wimey way. 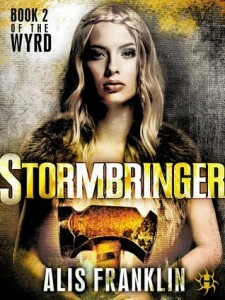 The winner of The Stranger You Know by Andrea Kane is Jo J. If you’ve never heard of StoryBundle, and you love Classic Doctor Who, you have 10 days to get in on a treat. StoryBundle is HumbleBundle for indie books. 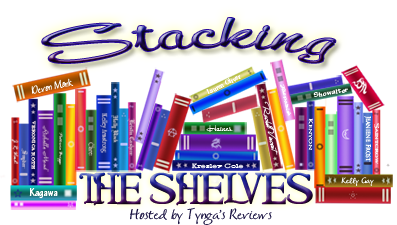 Their current bundle o’books is the six Doctor Who titles I purchased this week. 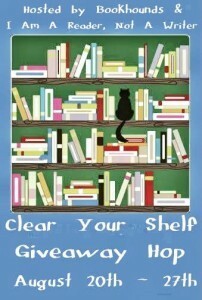 The deal is that you pay what you think the books are worth, and you get to download the books, DRM free. 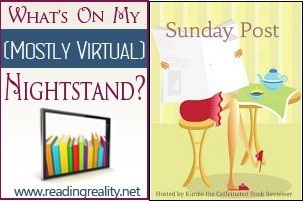 Looking at previous bundles, I’m sorry I missed The Fantastic Women’s Fiction Bundle and The Indie Fantasy Bundle. I won’t miss the next one, I signed up for the newsletter. 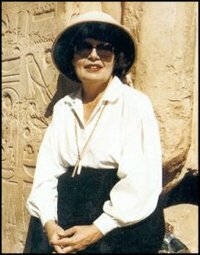 In much sadder news, Dr. Barbara Mertz, better known to the mystery and romantic suspense worlds as Elizabeth Peters and Barbara Michaels, passed away on August 8. As Elizabeth Peters, she was the creator of the indomitable Amelia Peabody Emerson, Victorian archaeologist and wielder of sharp parasols and even sharper wit. 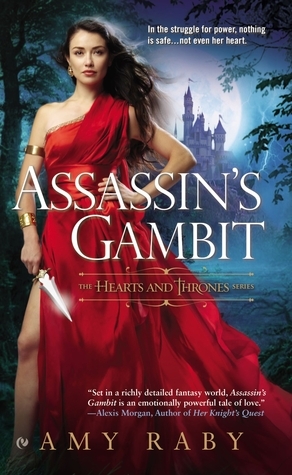 (I’ve always wondered if Amelia wasn’t one of the progenitors of Gail Carriger’s Alexia Tarabotti) Although I have read all of Peters’ Amelia Peabody series and her Vicky Bliss series (they connect, eventually) I never did read her Jacqueline Kirby series. I am now. I’m still at the American Library Association Conference in Chicago, so we’ll move right into this week’s recap and preview of coming events. The winner of the $10 Amazon Gift Card in the SFR Brigade 2nd Midsummer Blog Hop is Misty Rios. For the complete list of Grand Prize Winners check out the SFR Brigade. Winner’s Choice of Doctor Who: Ten Little Aliens by Stephen Cole (First Doctor) or Festival of Death by Jonathan Morris (Fourth Doctor) or Who-ology. 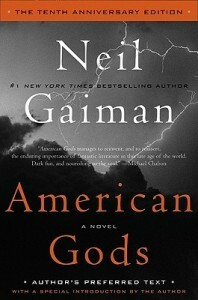 BBC Books is shipping this one internationally.